From the rise of the Islamic State to Russia’s invasion of the Ukraine, 2014 has been marked by geopolitical friction that lead to several dramatic flash points. What can we learn from these conflicts – and how can we avoid similar crises in the future? War, separatism and insurgency battered the global political order throughout 2014, with hotspots from Europe to the Middle East, and with few answers forthcoming. 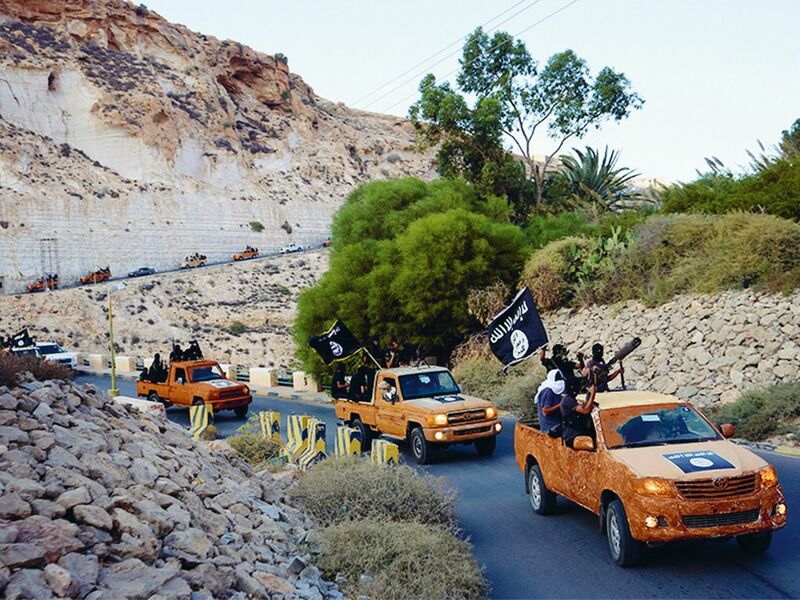 Where past years have seen decisive action to preserve the security and standing of Western powers in particular, uncertainty and indecision appeared to have infiltrated capital cities; in September, this culminated in the Obama Administration’s admission that it had yet to form a strategy to deal with the rise of terrorist group Islamic State, after more than a decade of state-building in Iraq. Throughout 2014, the economic and political turmoil of major crises brought three key trends into sharp focus. First, increasingly vehement nationalist ideologies, opposed to globalization, created new geopolitical flash points and uncertainty in long-dormant ones. In particular, European Union elections showed a distinct trend benefitting nationalist parties, with implications for the survival of the Union. Second, confusion and disengagement by Western powers encouraged political entrepreneurs to test the limits of norms that have long governed inter-state relations, not least in Europe’s own backyard. This was perhaps most apparent in Ukraine, where two divergent visions of the country’s future clashed in an increasingly bitter conflict that threatened to become an international crisis. Third, crises of unusually grave magnitude led to the formation of new alliances, particularly in the Middle East, with a rapprochement between Iran and the West in order to fight Islamic State that may or may not prove to be transitory in nature. Nowhere were these three trends exemplified more plainly than in the Middle East, where the rise of Islamic State has brought violent, far-reaching disorder. Indeed, with the withdrawal of Western forces from Iraq barely complete, the insurgency spread from Syria to threaten the capital, Baghdad, and force significant political change by the country’s Shi’ite elite. Ultimately, and despite America’s reluctance to put ‘boots on the ground’, the Iraqi army and Kurdish forces have proven themselves able to regroup and prevent further advances. However, Islamic State’s determination to establish a caliphate propagating hardline Islamist authoritarianism has its neighbours worried. 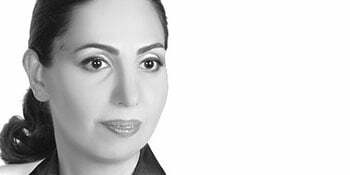 Dr Rola Dashti, former Minister for State Planning and Development in the Kuwaiti government (and one of the first women to enter the country’s parliament just five years ago), says the group threatens to prevent the emergence of a new Middle East. Because of the severity of the threat, Arab countries that have typically avoided intervening in the affairs of a sovereign neighbour have joined forces to drive out, or at least halt, Islamic State. Dr Dashti speaks of “a coalition of the world community against a terrorist regime”, with fighting led primarily by Iraqi and Syrian forces with air strikes and logistical support from other countries. Frederick Kempe, President and CEO of the global policy think-tank, The Atlantic Council, thinks the United States’ decision to re-engage in Iraq, working alongside a coalition of regional allies, is a model for the future that grows out of the Libyan experience. The US has come to recognize that it can achieve little of lasting value in the region on a unilateral basis, so regional actors must play a role that is substantial and not just symbolic to provide the opportunity for a longer-lasting solution. The involvement of Iran in the coalition against Islamic State, leading to the first direct contact between US and United Kingdom officials and their Iranian counterparts in years, could yet prove to be a breakthrough. Dr Dashti characterizes the current approach as “wait and see”, but says the region cannot afford to allow Iran to develop a nuclear capability. Even a peaceful, energy-focused nuclear programme brings risks to the country’s neighbours, including Kuwait, she argues. We can’t speak about prosperity when you have a terrorist regime that believes in an outdated mode of life, adopts exclusionary policies, that executes people who differ from them. Against this backdrop, there was little time for the international community to address longstanding problems, including Egypt’s descent into authoritarianism or the Israel-Palestine question. Indeed, the latter erupted into war between Hamas and Israel in Gaza, with an Egyptian-sponsored ceasefire finally ending a 50-day conflict after numerous short-lived halts in fighting were breached. Although war-weariness and shock at the level of devastation caused in Gaza were evident by the end of the conflict, Israel’s sense of security has been compromised and Palestinian grievances heightened, making a lasting peace seem further away than ever. While the European Union remains preoccupied with internal crises and a largely stagnant economy, it has been forced to face a foreign policy crisis that has so far cost more than 2,000 lives and challenges the basic assumptions of its neighbourhood policy. 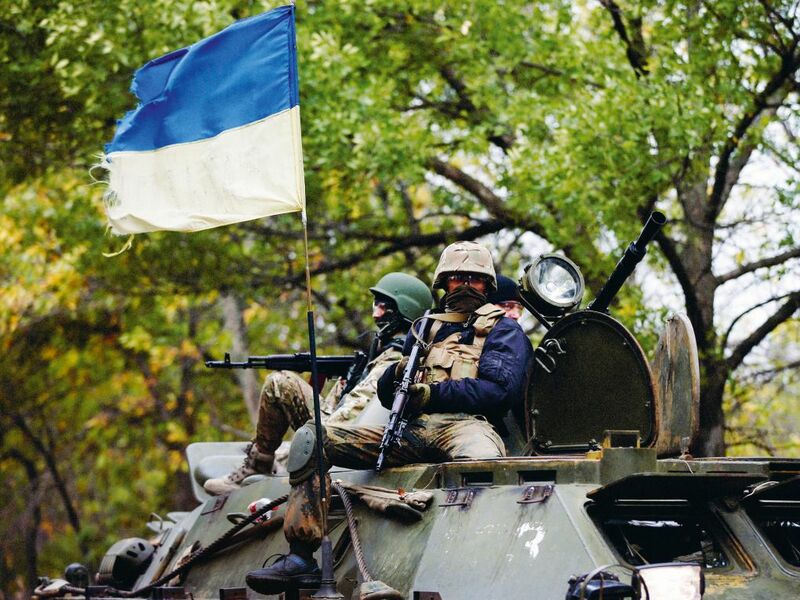 Russia’s support for the separatist groups in eastern Ukraine has brought relations with the West to a new low point, while the latter’s response has created its own uncertainties. Kempe says the North Atlantic Treaty Organization (NATO) at its Wales Summit drew a ‘red-line’ around alliance countries, but that left others in a ‘grey zone’, where they were neither part of the West nor belonging to Russia: Georgia, Moldova and Ukraine. Indeed, Russia’s annexation of Crimea may prove a watershed in the country’s international position, potentially intensifying external political and economic strains on the Putin regime. Yet with Putin’s foreign policy dependent on re-establishing a sphere of influence for both trading and political purposes, there is a dilemma waiting to be resolved. 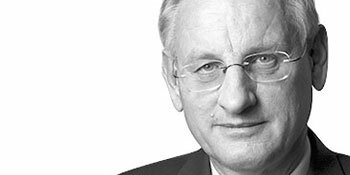 Carl Bildt, Sweden’s former foreign minister, has been a vocal critic of Russia’s actions in the region. 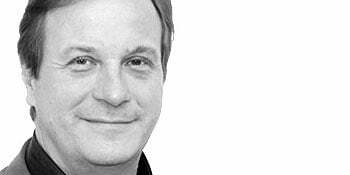 The EU’s relationship with its neighbour can improve, he thinks, but not on Russia’s terms. On the basis of current evidence, there is little appetite for a prolonged confrontation – not least due to the close ties between several European economies and Russia’s own. While US power may be declining relative to China’s rise, the Obama Administration remains positive about increasing its involvement in the region. According to Kempe, officials regret that the president’s signature focus on the region was described as a pivot, rather than as an act of rebalancing. America’s allies accept the idea that the US needs to pay more attention to a region which is fast becoming the world’s economic powerhouse, he says, but were concerned by the notion that the US might be pivoting away from other commitments. 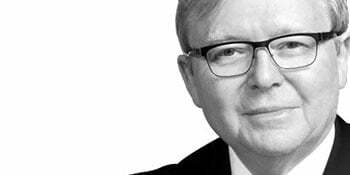 Kevin Rudd, twice prime minister of Australia, cites two threats to the region’s status quo: unresolved territorial disputes and long-standing historical animosities between China and Japan on the one hand, and questions about the roles of China and the United States in the region on the other. Kempe agrees, saying China is not a spoiler in the global political order, but neither is it a full stakeholder. As the country develops a foreign policy beyond mere economic self-interest, it will want to employ many of the levers the US currently enjoys, including military force. Rising tensions demand the rejuvenation of multilateral bodies, Rudd argues, plus the creation of new regional ones. Indeed, with regional institutions in the Asia-Pacific lacking the robustness of the European Union, Rudd argues for a more ambitious political security dialogue, defined by a common concept of community and a mandate for dealing with and managing security and political tensions when they arise. With some form of military conflict dominating concerns around the world, now may seem an unlikely time to focus on improving the terms of global trade. Yet many experts think that is exactly what world leaders should focus on. Two deals in particular are worthy of attention: the Transatlantic Trade and Investment Programme (TTIP) between the US and EU, and the Trans-Pacific Partnership (TPP) encompassing 12 countries in North and South America, East Asia and Australasia. According to Rudd, economics tends to draw cultures together, through the vehicles of trade and finance, while identity politics pulls regions and countries apart. He believes that resolving the TPP or a lesser agreement, plus a bilateral trade pact between China and the US, could transform politics in the region. Our diminishing ability to anchor a liberal economic order is partly because of our decline in the share of global wealth and the rise of emerging powers.